Police have released a video of the Nigerian Brothers in the Jussie Smollett case buying props in stores. The Police have released video of the Nigerian brothers buying masks, ropes, and other props that corroborate their story. The Chicago Police department have also released an official statement regarding the Jussie Smollett case. 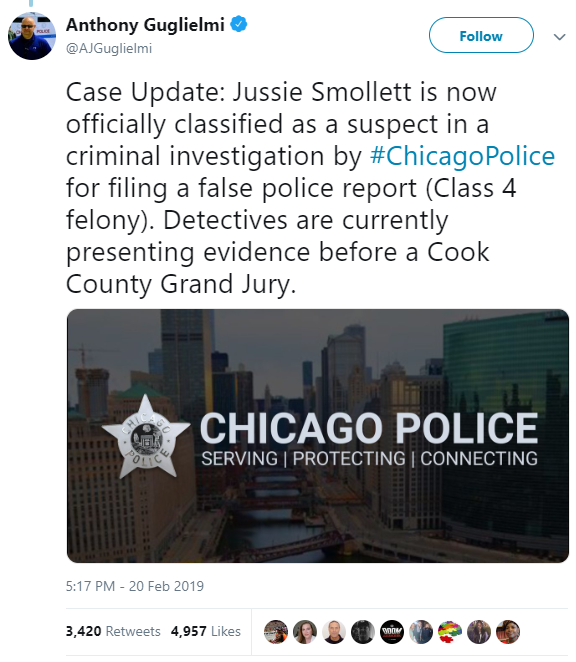 Chicago police spokesman, Anthony Guglielmi took to twitter today to say that Jussie Smollett is now officially a suspect in the case. Guglielmi said that police department is presenting evidence before a Cook County grand jury. Here’s are two videos of the brothers buying props that they allegedly used in the attack.